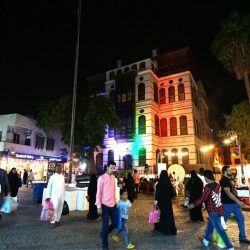 Organized by the Prince Mohammed bin Salman bin Abdulaziz “Misk” Foundation, “Hakaya Misk 2” attracted over 13 thousand visitors on the first day of the festival. This number is expected to increase throughout the following days of the festival. The current session of “Hakaya Misk” gathers between education, training, and entertainment at the same time. Over 300 workshops and platforms are held at the “Hakaya Misk” festival. “Hakaya Media” is also introduced in the festival for the first time with the participation of eight media agencies. The festival also includes “Hakaya Misk Store” and the participation of Snapchat, Wikipedia, Youtube, and Linkedin at “Hakaya Digital.” International institutions such as New York Film Academy, Art University, Culture Factory, and Manga Production participated in the festival. Among the new activities in the festival, two Saudi football players, Yasser Al-Qahtani and Mohammad Al-Sahlawi, participate in “Hakaya Almorabteen” and share their experience in visiting the Southern border of Saudi Arabia. For the first time, Dr. Awwad Alawwad, the Saudi Information Minister, also participates in this session. Saudi media figures such as Muhammed Alarab and Sawsan Alsha’er also share their stories with the Saudi soldiers at the Southern Border. 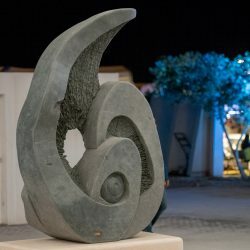 Throughout the seven-day festival, visitors enjoy a special play inspired from the Saudi folktale heritage as well as Hakaya factory in its four sections: writing, painting, animation, and production. Visitors also enjoy the first show of “Bilal” film, in addition to other exclusive Saudi films. 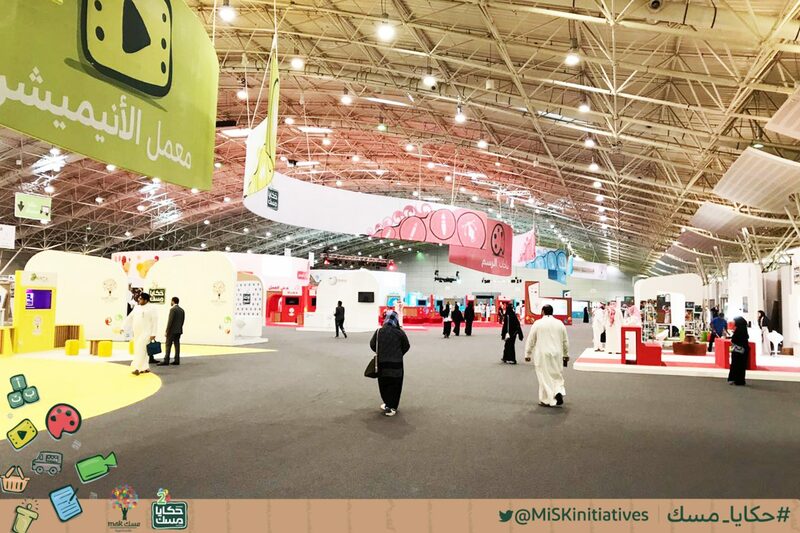 The activities of the festival include “Misk Storyteller” and the “Young Author” with the participation of government bodies like Mawhiba, King Abdulaziz Public Library, and Misk Schools.